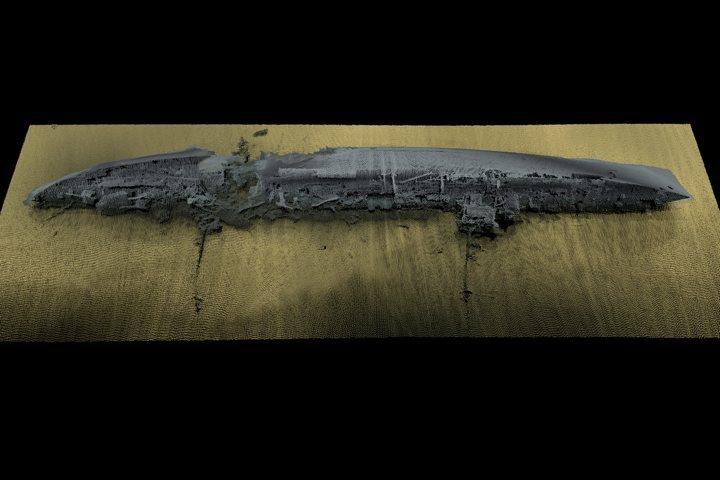 The 3D Visualisations of shipwrecks use multibeam sonar data provided by ADUS Deepocean. 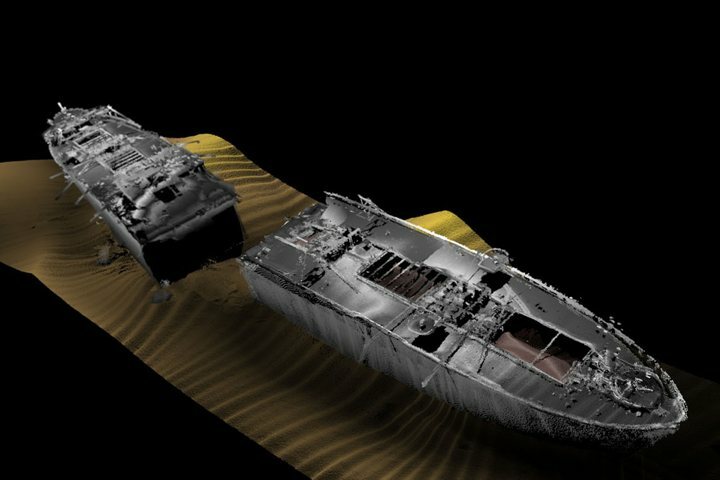 The 3DVisLab has a long standing relationship with ADUS and together we have worked on many projects ranging from disasters such as Deepwater Horizon, Costa Concordia and the Sewol Ferry to heritage sites in Scapa Flow, the Battle of the Atlantic wrecks off the Eastern coast of the USA and many others. The data appears on this website by courtesy and permission of ADUS Deepcean. The genesis of ADUS DeepOcean was the formation in 1986 of the ADU (Archaeological Diving Unit) at the University of St Andrews, a team of marine archaeologists who were contracted to the UK Government to investigate historic wrecksites. Two key members of the team, Director Martin Dean and archaeologist Mark Lawrence, accumulated between them more than twenty years experience of geophysical surveying including empirical research into comparison of side scan sonar systems and also ground discrimination from sonar data. In 2001 the ADU’s dive support and survey vessel was used as a platform for the survey of WW1 German warships in Scapa Flow. 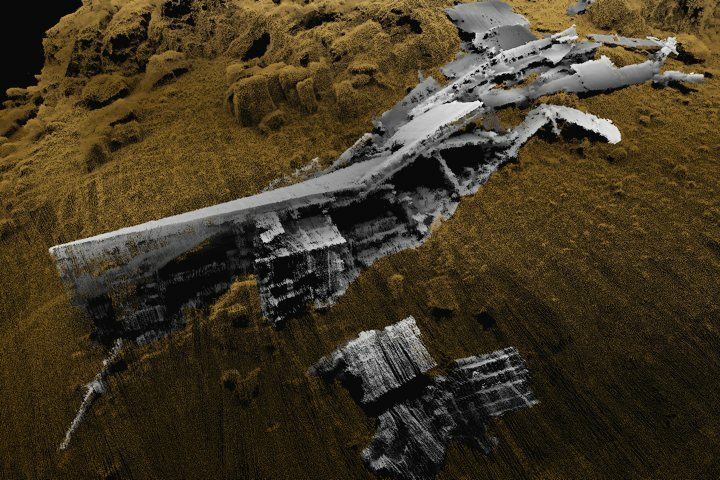 This exposure to the potential of multibeam sonar for accurately and rapidly surveying shipwrecks resulted in the formation in 2004 of ADUS (Advanced Underwater Surveys) within the University. 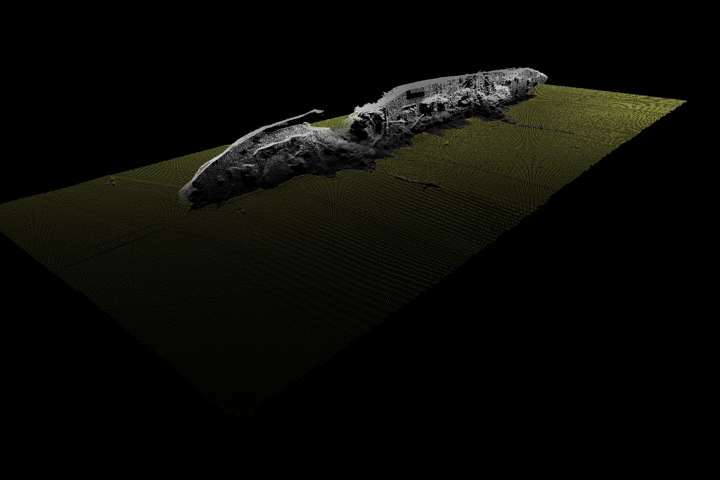 As well as undertaking research into data collection methodology, ADUS were contracted to survey a number of shipwrecks in high resolution for government agencies. In 2006 Professor Chris Rowland, a keen diver and Director of the 3D Visualisation Research Laboratory at the University of Dundee, together with John Anderson, then a freelance visualisation programmer who had been a research student of Chris, joined the team and began applying their visualisation skills to ADUS’ survey data. The improved results attracted an increasing number of external requests for surveys, so the two Universities, Dundee and St Andrews, together with the three principals, Rowland, Lawrence and Dean, set up a private limited company, Advanced Underwater Surveys Ltd, in 2008 as a channel for ADUS’ commercial work. It was at this time that Aubrey Thompson joined the Board of Directors as Chairman to provide the necessary business expertise to help set up and develop the company. In May 2013, the DeepOcean Group acquired 50% of the company whose name changed to ADUS DeepOcean Ltd.
Scapa Flow is the natural harbour in Orkney where the WWI German High Seas fleet was interned at the end of the war. The ships were scuttled by Rear Admiral Ludwig von Reuter in 1919. 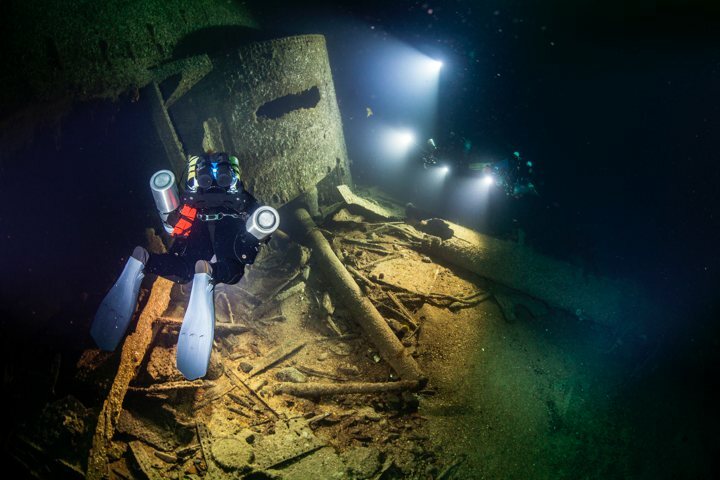 The wrecks of 8 ships remain at Scapa Flow, which is highly regarded as one of the World’s greatest wreck diving sites. The Rena was a container vessel that ran aground on 5th October 2011 on Astrolabe Reef in New Zealand. She has presented a myriad of issues with regards to both the environment and the wreck’s effect on the local area. These arose not just from the resulting oil spill when she ran aground but also from the hazardous materials and general flotsam that were deposited on the reef. 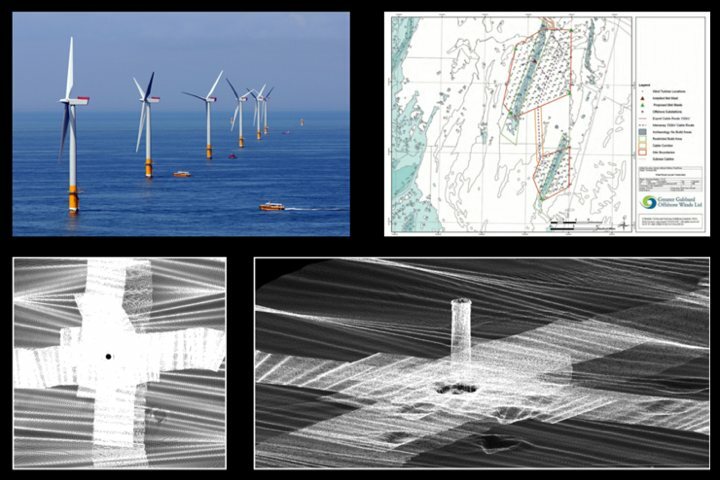 Meeting the challenges of defining optimised production workflows for creating engaging, aesthetically-driven 3D data visualisations for Inspection, Maintenance and Repair (IMR) in the Offshore Renewables and Oil and Gas industries. Costa Concordia was a cruise ship which sank off Isola del Giglio in Italy on 13th January 2012. 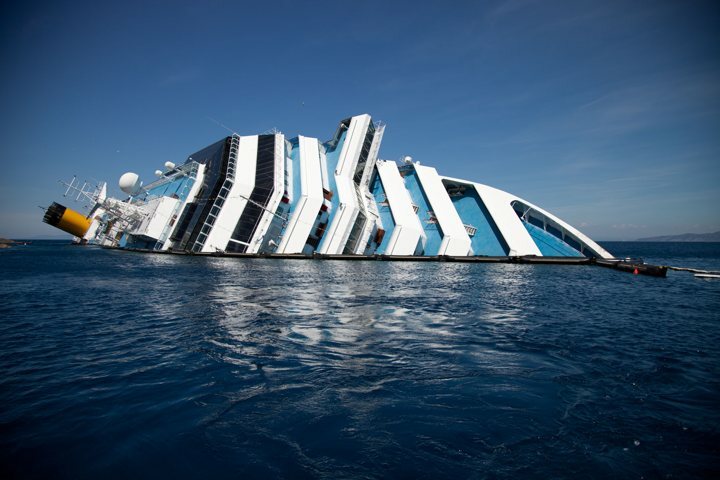 The ship hit a reef under the command of Captain Francesco Schettino. The impact tore a hole along the port side of the hull causing the ship to capsize. The order to evacuate the ship was delayed by six hours resulting in the loss of 32 lives.